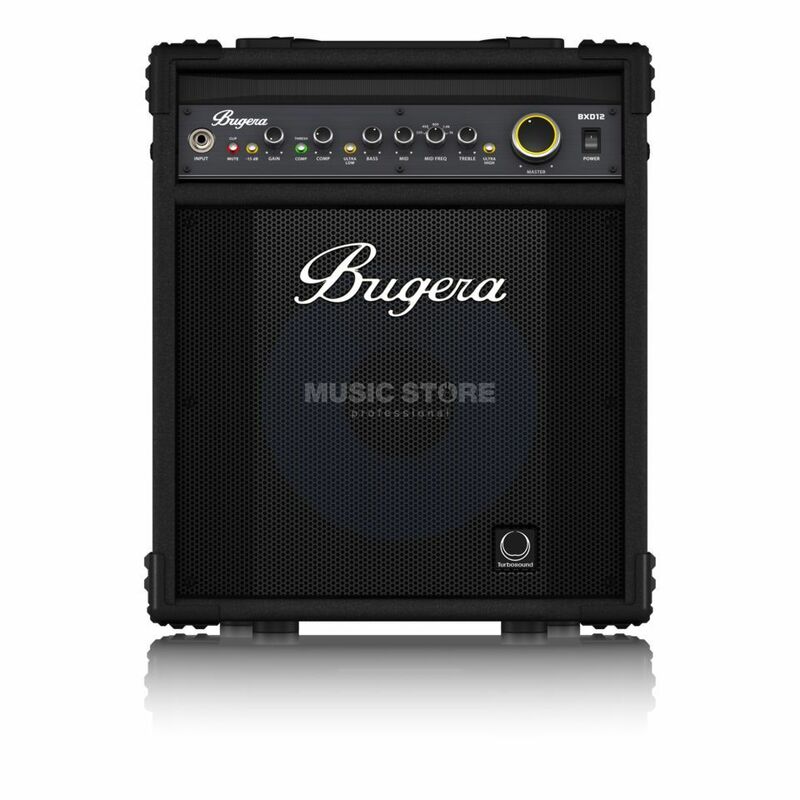 The Bugera BXD12A Bass Amplifier Combo is a bass amplifier combo featuring a power output of 1000W, a 12" aluminium-cone speaker, a MOSFET preamp and a class-D amplifier. The BXD12 is a fully stage-ready bass amp combo that delivering such high power through a 12" aluminium-cone Turbosound driver that produces a clear and punchy attack. Boasting strong signal shaping via a high-voltage MOSFET preamp with a wealth of bottom, mid and top-end EQ options, a classic compressor and Dynamizer Technology, the BXD12 will consistently impress. These features are backed by a highly portable tilt-back enclosure.